Do you wish to promote your local sports club or school club in vengeance? We suggest you hand out these customized polyester drawstring sports pack to students, players on the very next occasion and see the magic it creates. 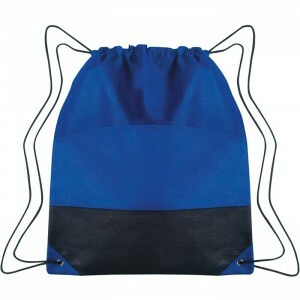 This sports pack allows students to flaunt the team logo with pride. This sports pack is built to hold all bigger and smaller things with ease. 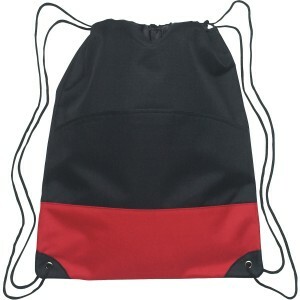 This drawstring bag buys attention with its typical design featuring black body with bright accents. 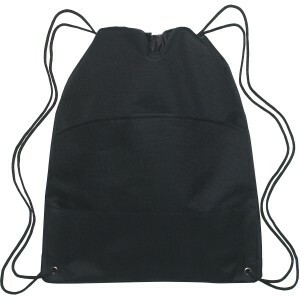 Request a quote to know discounts that you can avail by ordering these promotional polyester drawstring sports pack in bulk. Features- Made Of 600D Polyester. Outside Pocket. Reinforced Eyelets. Spot Clean/Air Dry. Item Size: 13 ½" W x 17" H.
Imprint area- Silk-Screen or Transfer: 7 ½" W x 3 ¾" H Embroidered: 4" Diameter. Available Colors : Black, Red, Royal Blue. Customer Service & Shipping -On time arrival. Service was great. 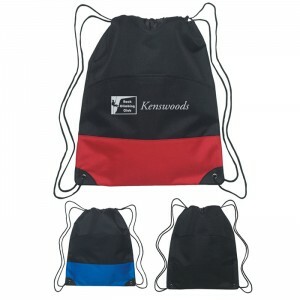 Product & Design Quality - excellent design and best price from other bag companies I compared. Customer Service & Shipping -surprising fast delivery.